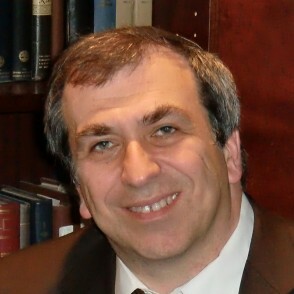 Stuart Apfel is an Associate Professor of Neurology at the Albert Einstein College of Medicine and at Downstate Medical Center, and has recently become an adjunct faculty member at Yeshiva University where he teaches an undergraduate course in neuroscience. His scientific research has largely focused on the potential clinical application of neurotrophic factors for the treatment of peripheral neuropathy and other neurodegenerative disorders, and on other aspects of translational medicine. He is a founder of Parallax Clinical Research, a consulting firm that works closely with biotechnology companies and pharmaceutical companies assisting them with advancing potential therapeutics from the laboratory to clinical trials, and ultimately to approval. Dr. Apfel is a popular lecturer at Einstein and Downstate, and has won teaching awards. In addition to his scientific activities, he gives regular shiurim in his community of West Hempstead, and has lectured widely on a variety of Torah related topics, mostly focused on Science and Judaism, Jewish History, and topics in Tanach. Why do we age, and what can we do about it? Alzheimer’s disease – Can we reduce our risk? Our Aging Brain – Can We Keep it Young? Should a Jew Believe in Evolution? The God Gene – Are we Genetically Programmed to Believe in God? What was the Etz Hadaat Tov ve Rah?